Dress up and decorate your table with style! 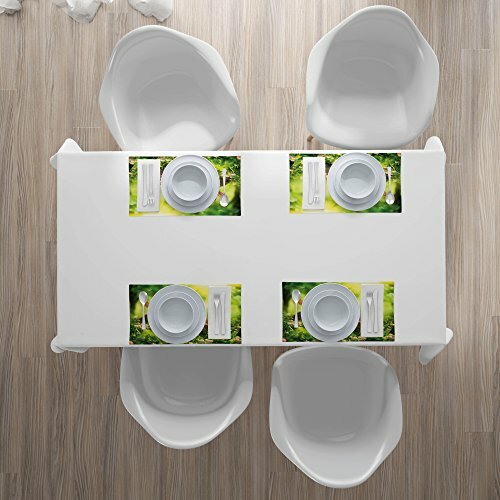 These unique place mats are the perfect accent accesory for your table setting. MEASUREMENT OF EACH MAT: 12.5 Inches long and 18.5 Inches wide. 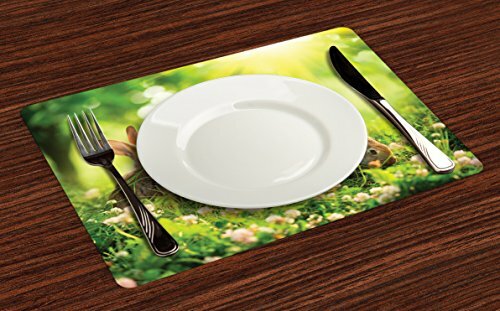 With tens of 1000’s of fresh and fun designs you can find the perfect placemats for any occasion, event or just casual dinners. Great for dinner parties, housewarming, birthday celebrations, entertaining and family gatherings. They can be used indoor and outdoor. 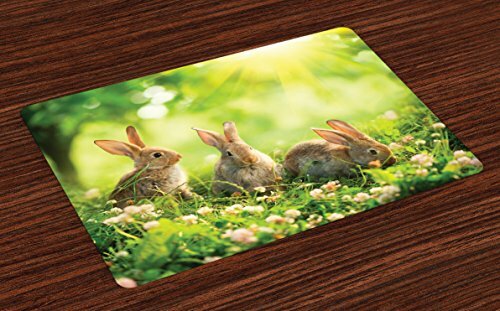 Use them in your home, garden, office, cafe, party house, restaurant, bar, hotel. Environmentally friendly, no dye substance harming health of your family. Colors won’t fade thanks to new digital printing methods. They are durable and will last long. It is a perfect gift idea for your wife, husband, best friend, mom, dad, sister, brother, grandma, colleague and all other beloved ones with many of surprising designs. Customized, personalized products are very popular. As manufacturers of digital printed design products, we follow current trends and bring you the latest hot fashion products. Either a gift to your family or friend, relative or boyfriend girlfriend, or to yourself, the item should be interesting and authentic. Due to manual measurement, please kindly allow 1-2 cm discrepancy. 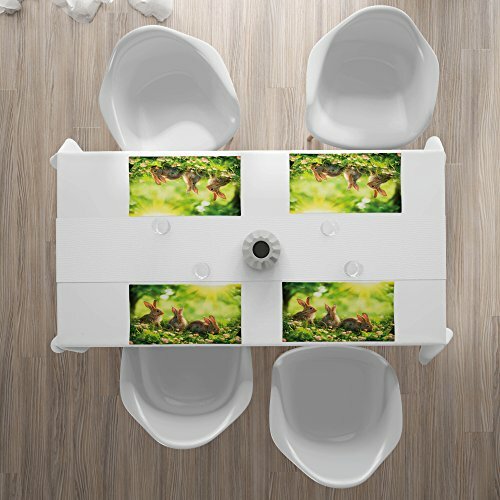 The digital images we display have the most accurate color possible, however due to differences in computer monitors, we cannot be responsible for variations in color between the actual product and your screen.SET OF FOUR – Each Table Mat is 12.5 INCHES LONG x 18.5 INCHES WIDE. With Hand-sewn finished edges.